IRONHIDE COMMUNITY FORUM • View topic - IF YOU PLAYED KR, KRF, AND KRO YOU HAVE TO SEE THIS!! IF YOU PLAYED KR, KRF, AND KRO YOU HAVE TO SEE THIS!! TIP:Right-clicking and clicking "Open image in new tab" will give you the full perspective. It really is beautiful in the end, every enemy is unique and colorful and it makes an awesome wallpaper. However when you look closer it looks a bit scary like they're coming after you as well as looking at you specifically with a haunting/driven look. Re: IF YOU PLAYED KR, KRF, AND KRO YOU HAVE TO SEE THIS!! Thought of a senario for this. Imagine sir-tick-tock-a-lot as some random time related villain. General! Approaching the kingdom is a team of the greatest threats we have ever faced. Though we have halted the conquest of sir tick-tock-a-lot, his tyranny continues from the grave. His excessive use of time magic has opened a hole in the timeline, and our greatest foes have taken advantage of this to join together and create an unstoppable army, bent on conquering not just our kingdom, but our entire world! Though the situation looks grim, all may not be lost, for we too have taken advantage of this calamity to assemble our greatest heroes and most powerful towers. If we can't fully halt their conquest, than we shall take as many of them with us as we can before they escape to wreak havoc. Now is the time to put every tactical skill you have learnt to the ultimate test. WARNING. THIS IS THE MOST DIFFICULT CHALLENGE EVER. HAVING ALL STARS IS HIGHLY RECOMMENDED. Nice Description! It matches perfectly. BarryAllenTheFlash wrote: Nice Description! It matches perfectly. Thanks. It would be a true marathon of a level, so it would automatically save every few waves. You would be able to use every tower and hero in the game for this level only. I also thought of villain dialogue for the beginning of the level. Umbra: and the consumption of your entire world! 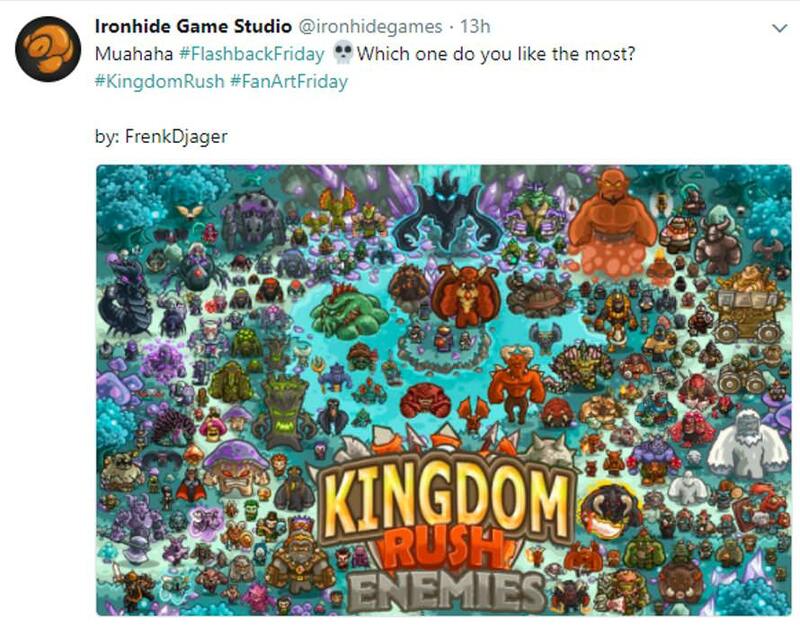 The first portion of waves would consist primarily of powered up versions of baddies from the first kingdom rush, the second would focus around frontiers, the third portion origins, and the last being a mix of all three games. Tell me if you want me to expand on this idea. thanks for image. Perfect. Will be my desktop photo. Looks like this Topic has caught quite some attention. I don't see riderless Poukai, Shred of Darkness or a Bunny.